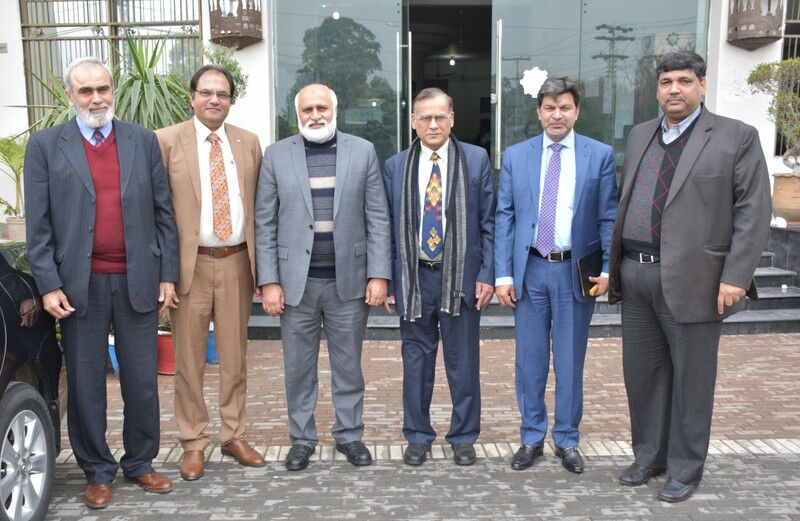 Vice Chancellor University of the Punjab (PU) Prof. Dr. Niaz Ahmad Akhtar visited University of Engineering and Technology (UET) Lahore and had meeting with Vice Chancellor UET Lahore Prof. Dr. Aziz Akbar. He congratulated Prof. Dr. Aziz Akbar on taking charge as VC of UET. 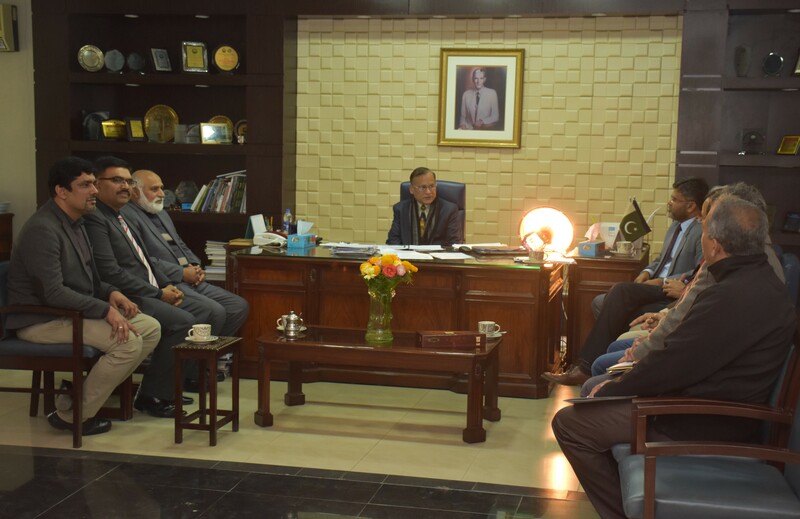 Later, Prof. Dr. Aziz Akbar briefed the Vice Chancellor PU Prof. Dr. Niaz Ahmad Akhtar about research and academic activities of university followed by a visit to the Institute of Business and Management (IB&M). 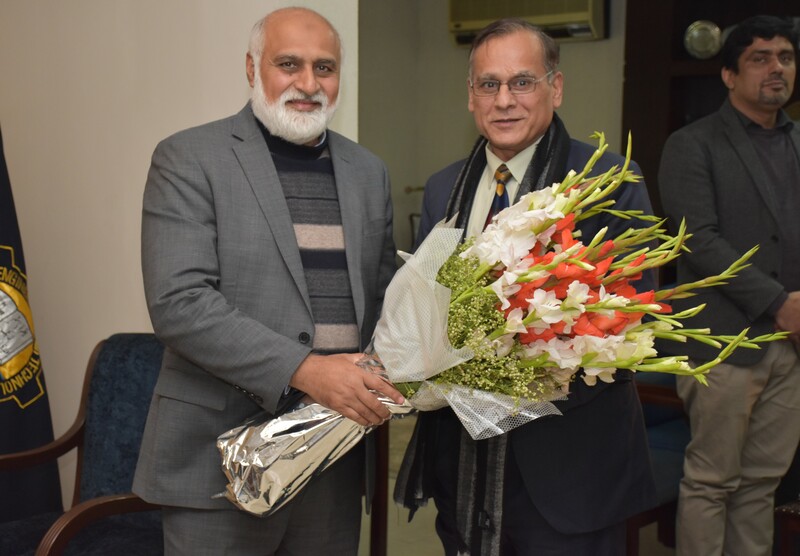 He also thanked Prof. Dr. Niaz Ahmad Akhtar for sparing the time and visiting UET Lahore. 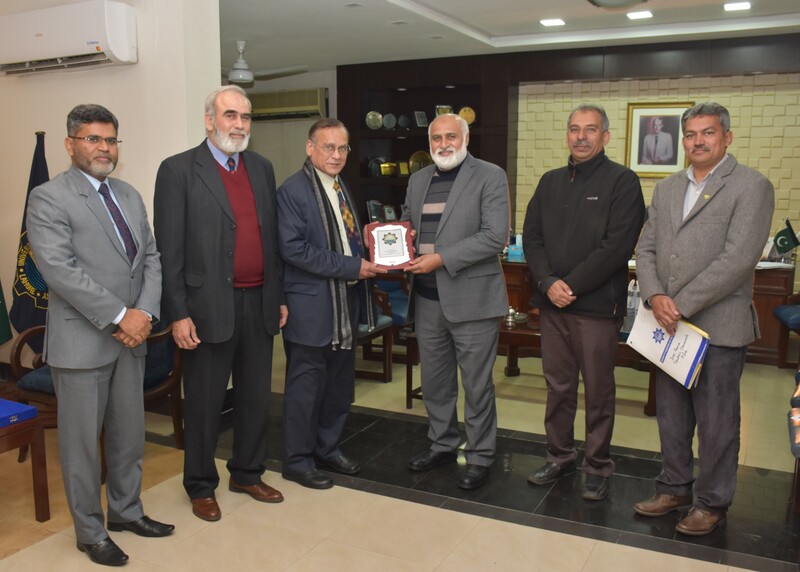 At the end of the meeting, VC UET Presented a souvenir to Prof. Dr. Niaz Ahmad Akhtar.